Our idea of a love-hate relationship? Shoes. 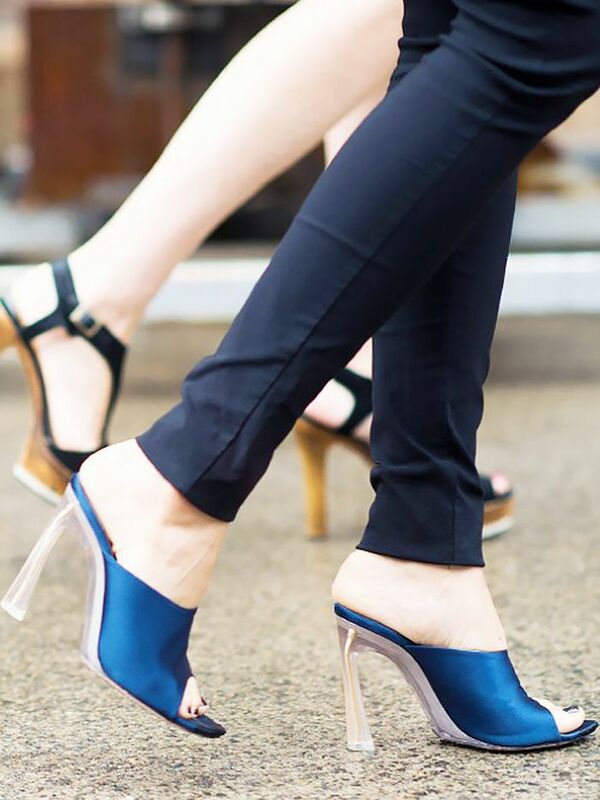 Think about it: You obsess over the beauty of the perfect lace-up pump and squeal with glee when you find a killer pair on sale, but these sources of delight are simultaneously instruments of pain. Throbbing feet and stinging blisters, anyone? Since we’re not giving up our footwear addiction anytime soon, we figured we’d find solutions to lessen the pain our favorite shoes inflict. Scroll down for seven hacks to make your life just a little bit easier. This lace configuration will let your feet move around more than typical crisscross lacing, so it doesn't get stuck on one friction point and create a blister. 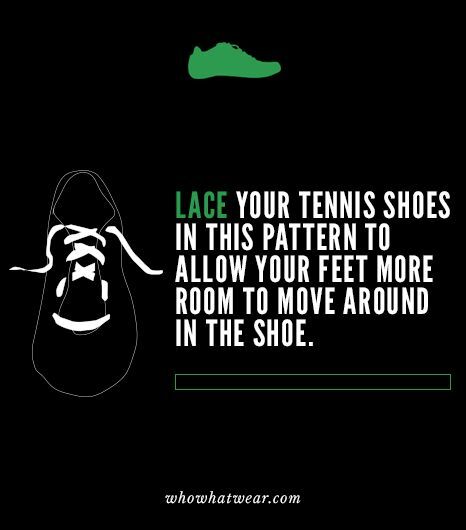 However, if you need a tighter lace for any sports activity, we recommend the traditional crisscross lacing! The rubbing alcohol will allow the leather to stretch just a bit while you walk around. Petroleum jelly, baby powder, and clear deodorant all serve to lubricate the area prone to blisters, so that your foot moves more freely in your shoe and doesn't get caught rubbing on a friction point. There is a nerve that splits between your third and fourth toes, and wearing heels puts pressure on this nerve, resulting in sore feet. Taping your third and fourth toes together with medical tape alleviates the pressure put on the nerve. Heating up the shoes allows the leather to stretch slightly, and the socks help push the leather out just a little bit further than your bare foot would. Slippery shoes can be a problem with new shoes. Roughing up the sole with sandpaper will give you more grip and help keep you from slipping. The water will expand as it freezes, acting as a DIY shoe stretching method. Will you try any of these hacks? Let us know in the comments below!